USM is excited to announce Dr. H. Ronald Hulnick is a featured speaker in the 17th annual Sun Valley Wellness Festival! Ron will talk about the relationship between consciousness, health, and healing, and will share about how one can manifest Radiant Health on all levels of consciousness—physical, mental, emotional, unconscious, and spiritual. 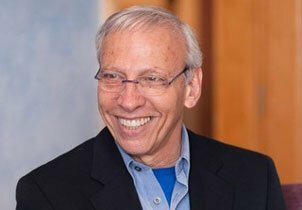 In his talk, “Spiritual Psychology: The Road to Authentic Wellness,” he will discuss the deeper dimensions of “Authentic Wellness” and what the implications are for the field of health in general. The festival includes four full days of events, May 22-25, 2015. Keynote speakers this year are Panache Desai, Elizabeth Gilbert, and Mark Nepo. Nearly 30 additional speakers will be featured, such as USM Grad Agapi Stassinopoulos, as well as other experts in the environmental and wellness industries. Ron is scheduled to speak on Saturday, May 23, at 3:45 p.m. (Mountain Time).